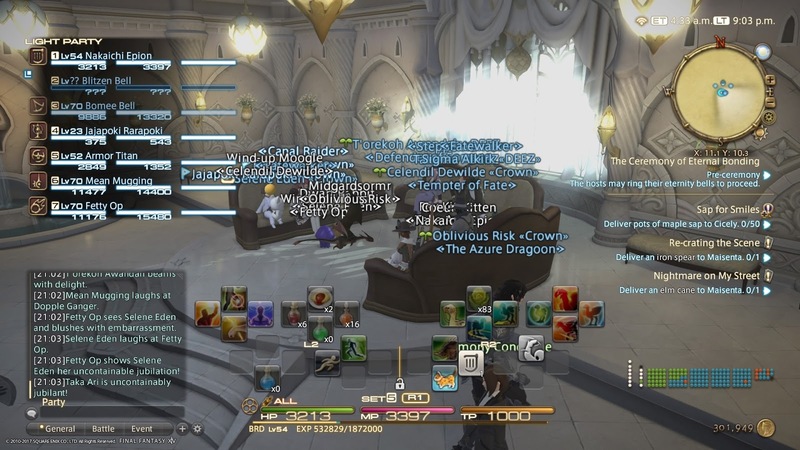 This is the first update for the Eorzea Journal in a very long time! And it’s also the second one in our written series in a while, too. The first one, I thought, was going to be a series that would last for more than that, on the Jenova realm. While plans fell apart for playing on Jenova, I have returned to playing my first character, Nakaichi Epion. 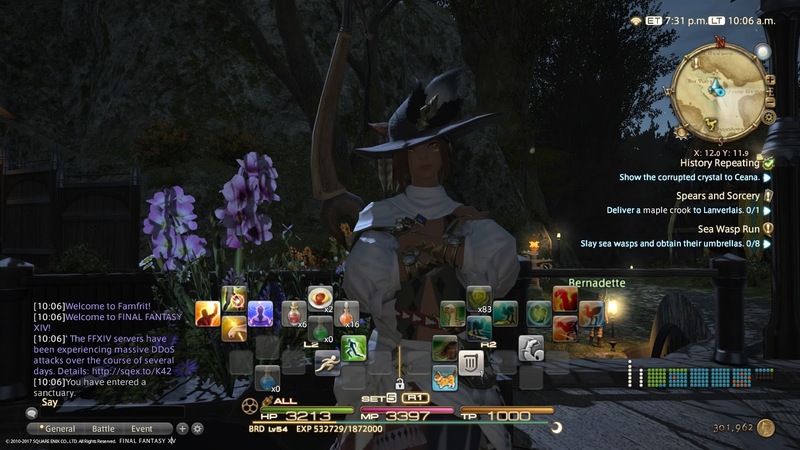 For those just tuning in for the first time, Nakaichi Epion was the very first character I made in Final Fantasy XIV back in 2015, on Sargatanas. 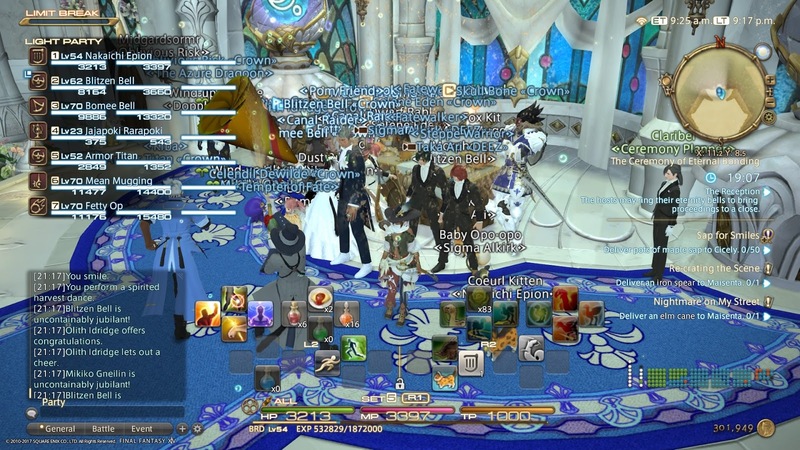 However, in an attempt to replay and progress further in FFXIV in 2017, I transfered Nakaichi to Famfrit, and in time to attend the wedding of two fellow offline players, Blitzen and Bomee Bell. 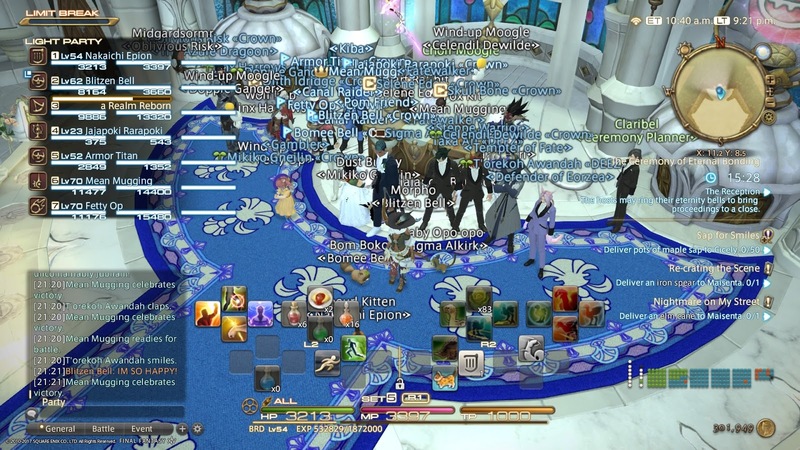 I don’t know why I didn’t think to capture shots of the scenes of the actual ceremony, but if you ever attend a Ceremony of Eternal Bonding, be sure to take it all in with your eyes. It is a very well put together event! 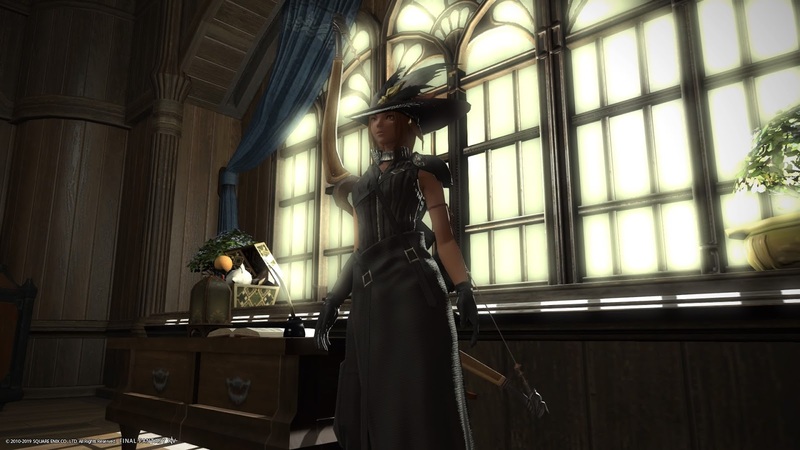 In the time between 2015 and 2017, I finally completed all of the pre-requisites to obtain the Choral armory set for BRD. 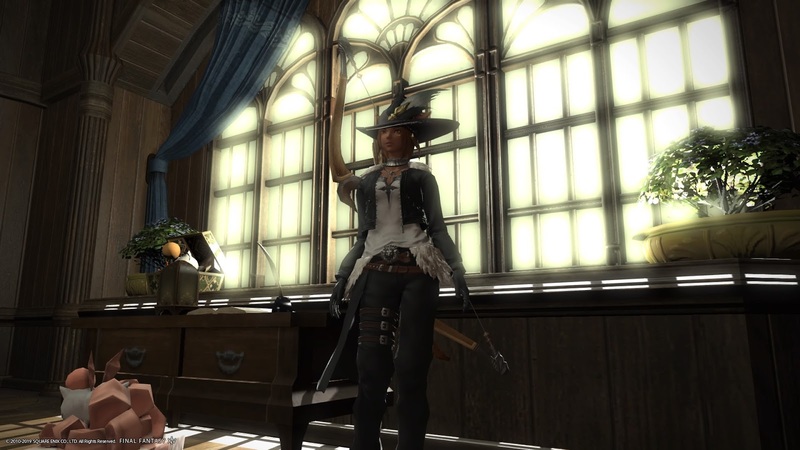 And it’s actually a huge accomplishment for myself, as it took forever to obtain just one piece of Artifact armor for RDM for Nakashima back on Remora on Final Fantasy XI at level 41. 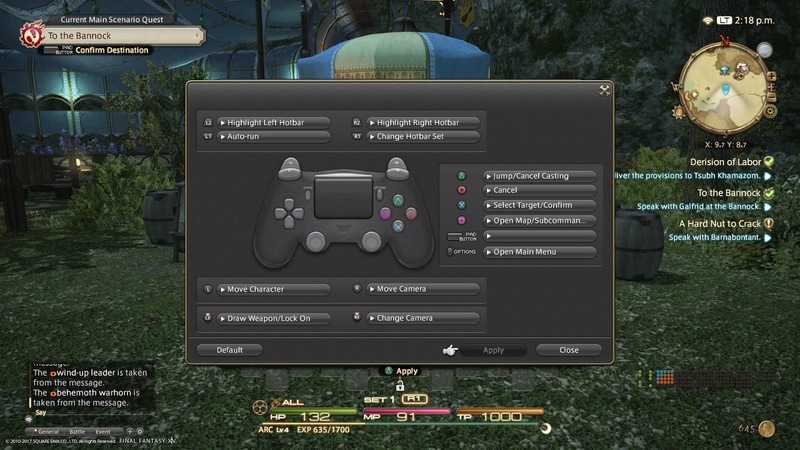 It was a huge struggle at the time, but the mechanics in FFXIV that should have been in FFXI totally made up for it. But I digress. Fast forward to April 2019 (or February, if it wasn’t for the crunch before Katsucon), I finally reactivated my account for the third time! It wasn’t until a few days ago I got the hang of playing Nakaichi again, but this time on the PS4. 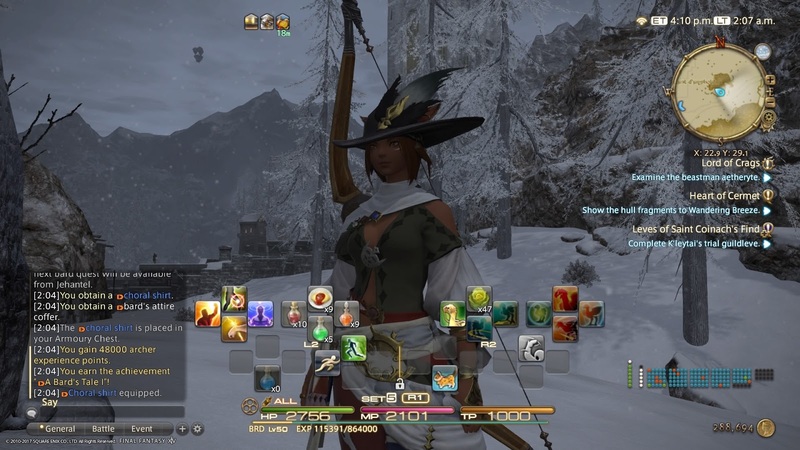 I’ve been spending days upon days finding the common rotation scenequence as a Level 54 BRD. My idea was to go back to her roots as an Archer, adapting to the basic rotation of Straight Shot, Windbite, and Venomous Bite, respectively. However, it’s now falls on how I used the songs while in a party. That’s all for now! Surely I should have progressed some more in the next update. Probably further where I can even stream my progressions on the Twitch channel! Speaking on streams, I originally worked on a video series of the same name, with only two episodes up on YouTube, with a third one that’s ready to publish… for, like, two years now. I don’t know why that slipped my mind! Oh, well! Maybe this will be an opportunity to promote it! Previous Article Interesting Find: What If Jet Set Radio Was on the Nintendo Switch?